In the continuing quest to improve my Japanese reading skills and experience various facets of Japanese culture, I’ve been reading different types of books over the last few years. The genres range from children’s picture books to classics like Ningen Shikkaku. My latest challenge was the book “オレたちバブル入行組” (Oretachi baburu nyuukougumi) by Jun Ikeido (池井戸潤), which began serialization in a literary magazine in 2003, and was published as a paperback in 2007. The popular 2013 TV drama “Hanzawa Naoki” (半沢直樹) was based on this novel plus another book in the same series. I really enjoyed the drama so I decided to purchase the novel, hoping to learn more about the story as well as some new Japanese words. (If you liked the drama, consider watching “空飛ぶタイヤ” (Sora tobu taiya) which is by the same author and quite good). This book’s plot revolves around Naoki Hanzawa, a young man who has entered the banking business. He achieves a position in a department where due diligence is done in order to make proper financing decisions, namely whether a large sum of money is loaned out to a certain company or not. For one of these companies he is forced to make a quick decision on a loan approval. Without giving away any major spoilers I’ll just say that as a result the bank, and everyone involved, is put into a bad situation. In the deeply bureaucratic environment of the major bank he works for, management points their fingers at Naoki and blames him for the cascade of events that occur, forcing him to go to extremes to defend his position and avoid demotion or worse. The story proceeds from there with a series of investigations and twists that kept me interested, although I had a good idea what was going to happen from seeing the TV drama first. As I discovered in the book’s afterward, the author Jun Ikeido was actually a banker himself, and the political infighting in the cutthroat world of a major bank seems pretty realistically depicted. The book takes on themes such as the changing roles of banks within society over the last two decades, and whether such a dog-eat-dog work environment can really make bank employees happy. The book’s title comes from the words “オレたち” – masculine first person plural (‘we’) , “バブル” – referring to a period of good economic conditions in Japan from the 1980s to early 1990s, and ”入行組” – a compound that means a group of people who have joined a bank. I don’t believe there is an English translation of the book, but if I were to make a quick attempt at the title I’d say “We, the bubble-era banker recruits”. In terms of language, my expectations for advanced Japanese were right on the mark. Eespecially in the first third of the book I went through at a terribly slow pace, constantly referring to a dictionary. There are some banking industry-related words, but the book seems to be written for an average adult who doesn’t necessarily know about the internals of banks, and there are several sections that explain difficult terms. Having said that, you’ll need good background knowledge of common words in areas like finance, economics, and business, or else you’ll have to learn these terms as you go. I was hoping to broaden my lexicon of work-environment Japanese and I got a good dose of that from this novel. There was also a bunch of words or expressions I had never read anywhere else (like やおら) which didn’t feel like very modern Japanese, possibly result of the author’s age. Partway through the book changed from more of an explanatory style to one dominated by dialog, which helped me pick up speed. At some points I did a rough calculation of my rate of progression and got around 10-15 pages an hour. This is much slower than my average native language (English) reading speed, but I’ve read Japanese books that slowed me to a fraction of this. You may interested to know that several of the main characters speak Osaka dialect, which can be difficult to learn from a dictionary. So if you decide to read this novel, you might want to study up on some of the common differences compared to Tokyo dialect Japanese. Even if you are totally new to it, if you grasp of grammar is strong you can probably pick up what they are saying, especially because many of the changes are at the end of sentences. Two examples are the words ”~まっせ” and “~でっせ”, which I mean something like “~ますよ” and ~”ですよ”. 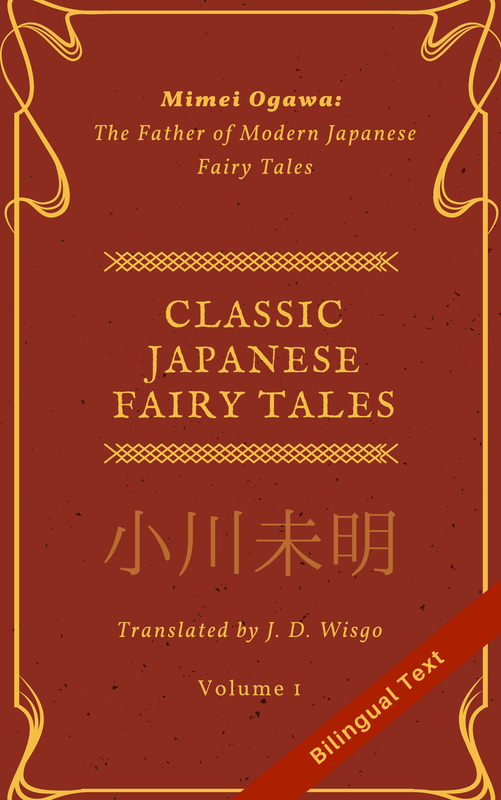 All things being said, I wouldn’t attempt this book until you have at least several years of Japanese study with very strong Kanji skills (the book is light on Furigana hints for Kanji readings), and ideally a few other adult novels under your belt. If you do think you can tackle it and enjoy stories about political intrigue and trying to make sure justice is served, I highly recommend this novel. I purchased mine in Kinokuniya store in San Francisco, but you can find it online on some places such as Amazon. Note: If anyone is interested in seeing a brief excerpt along with an English translation let me know and I can write up another post on that.